Quick tutorial shows you how to install Nightingale, open source fork of Songbird music player for Linux, in Ubuntu 14.10 and Ubuntu 15.04. 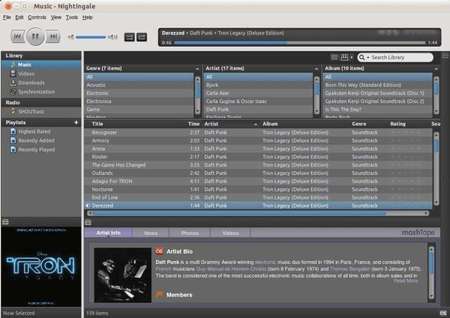 Nightingale is a free, open source audio player and web browser based on the Songbird media player source code. As such, Nightingale’s engine is based on the Mozilla XULRunner with libraries such as the GStreamer media framework and libtag providing media tagging and playback support, amongst others. Since official support for Linux was dropped by Songbird in April, 2010, Linux-using members of the Songbird community diverged and created the project. Contrary to Songbird, which is primarily licensed under the GPLv2 but includes artwork that is not freely distributable, Nightingale is free software, licensed under the GPLv2, with portions under the MPL and BSD licenses. Nightingale Team provides a Launchpad PPA that contains the latest stable binaries for Ubuntu. So far, Ubuntu 15.04, Ubuntu 14.10, Ubuntu 14.04, Ubuntu 12.04 and their derivatives are supported. This simple tutorial will show you how to install Nightingale, a good alternative to the discontinued Songbird music player, in Ubuntu 14.04 Trusty Tahr. Nightingale is a completely free, open source audio player and web browser based on the Songbird media player source code. As such, Nightingale’s engine is based on the Mozilla XULRunner with libraries such as the GStreamer media framework and libtag providing media tagging and playback support, amongst others. Since official support for Linux was dropped by Songbird in April, 2010, Linux-using members of the Songbird community diverged and created the project. The latest build for Ubuntu 14.04, Ubuntu 13.10 Ubuntu 12.10, Ubuntu 12.04 are available in the official PPA repository. This quick tutorial is going to show beginners how to install songbird music player in Ubuntu 13.10 Saucy Salamander & Linux Mint 16 Petra. Songbird for Linux has discontinued, but the v2.0 is still available in GetDeb repository for Ubuntu 13.10 Saucy and its derivatives. Then double-click to install the package via pop-up Ubuntu Software Center. It’ll add the get repository to your system. For Linux Mint 16, there’s an option in ‘Software & Sources -> Additional repositories’ to enable the repository. 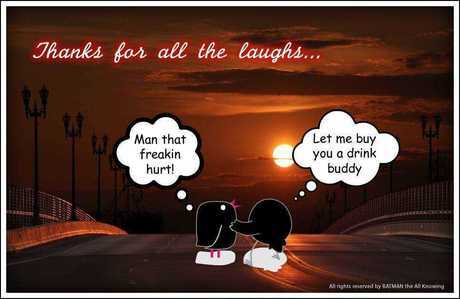 Here I’m going to tell you that the popular Songbird Music Player project has been discontinued. For those who are looking for an alternative, check out Nightingale which is built upon Songbird. Songbird is a music player originally released in early 2006 with the stated mission “to incubate Songbird, the first Web player, to catalyze and champion a diverse, open Media Web”. On June 3, 2010, official Linux support for Songbird was dropped. While thanking the users, investors, partners, developers of Songbird, Eric Wittman openly recommends the open source desktop media player Nightingale as an alternative. 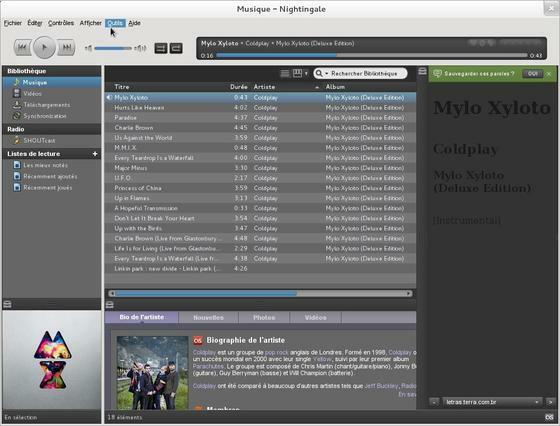 Nightingale is an open source media player based on Songbird and focused on Linux. It has a beautiful interface with a wide range of supported audio formats, all with multi-platform support!